Art at Large 2.0 is finally finished and as always I am so excited and grateful to be a part of it. 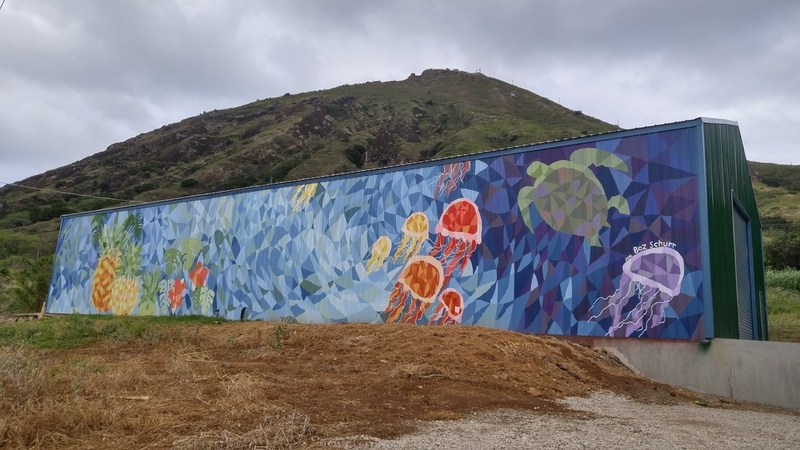 I love that the University of Hawaii at Manoa's Art Dept is utilizing it's incredible skills and talents to add to the environment around campus. We *could* live with ugly construction barriers, but why? 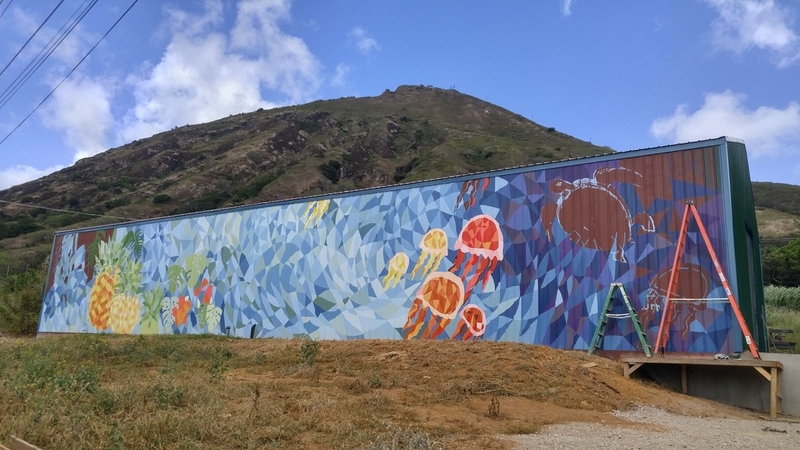 The arts beautify otherwise dull and depressing spaces and creates a sense of community when student artists and community artists work side by side. Which is a new part to this iteration of Art at Large, more students involved = more learning. More learning = better quality of life. Here's hoping I'll one day be able to get my own students involved! Chee! Art at Large 3.0 is being planned as we speak! I really hope to be a part of it and maybe you can too! The art dept donates all it's time and talent but they still need something to paint with. Each iteration of Art at Large costs $2-3,000. To support go HERE and mention ART AT LARGE in comment. Every little bit helps and it means everyone can enjoy the arts! Mahalo! A few years ago I saw a Tedtalk by Cesar Kuriyama and It was life changing. I have always been an artist who cares deeply about the process of making art. So much so that the actual art pieces in a few instances became remnants or the journey and the process, rather then being the main artwork. The actual making of the art became the art itself. 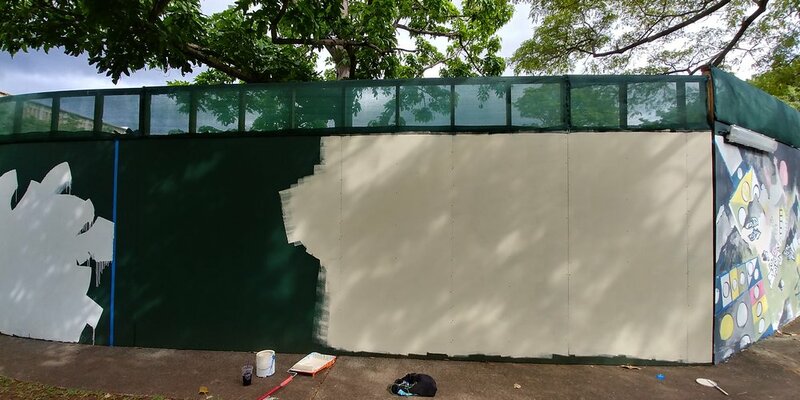 You can see this in some of my timelapses: where I paint a mural and then I destroy it to paint another one the next day. It's time consuming and physically challenging but without the timelapse I don't think I would be able to appreciate the work as much if all I had was the final product. So four years ago I began doing the same thing with my life. Modeled after that Tedtalk I began documting not only the process of my artwork but my whole life. I make my video a little differently from Cesar Kuriyama by editing some of the clips to be longer and adding uplifting music. I also try to focus only on the positive. I do not think this denies the challenges and struggles of the year, I still remember the black toenails I got when training for the Honolulu marathon and the time I stayed up so late to paint a mural for a non-profit I didn't sleep that night and still had a full day of teaching the next day, but instead I think it helps me to re-enforce why all those difficult moments are worth it. Here are the other three years. A lot has changed in myself, my students and everywhere, so it's nice to look back on a full, rich life. Mahalo for being a part of my life! Thanks for looking! 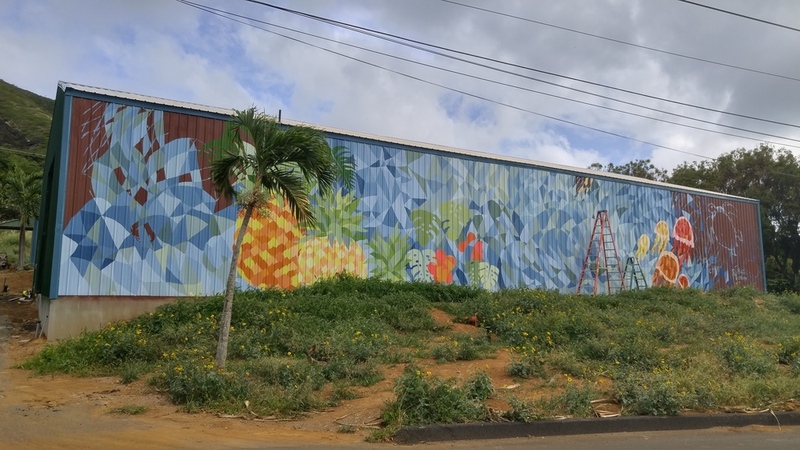 With everything going on right now I almost forgot to write about my big BIG mural in Hawaii Kai! A few months ago I was approached to do this large mural on a new distillery/tasting room for Island Distillers which opens late summer 2016. Little did I know what I was getting myself into! Check out my slideshow with some in-progress shots as well as a view of the final piece. I am pretty proud of this big mural. Beside a few days where someone had to hold the ladder (to make sure I don't get blown off by the wind eek!) I did this mural entirely solo. I've learned a lot from this experience but I think I can safety say now I am an experienced mural painter. 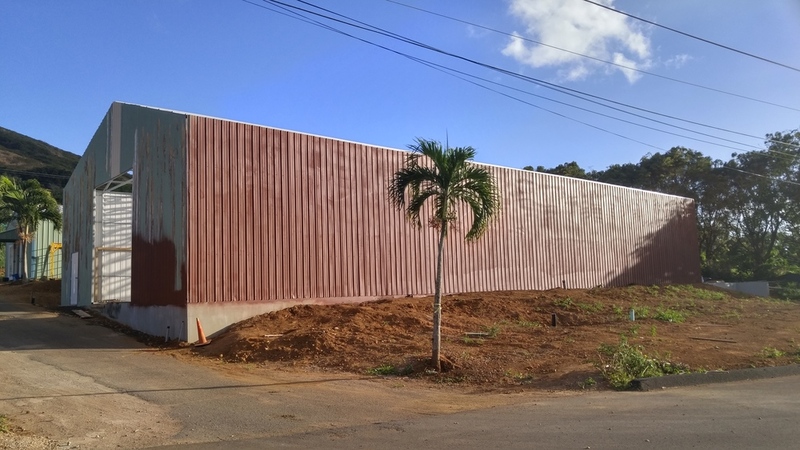 Mahalo for looking and I'll be sure to send an invitation to the big opening soon. Please sign up for my mailing list so you don't miss any great events or invites coming up! 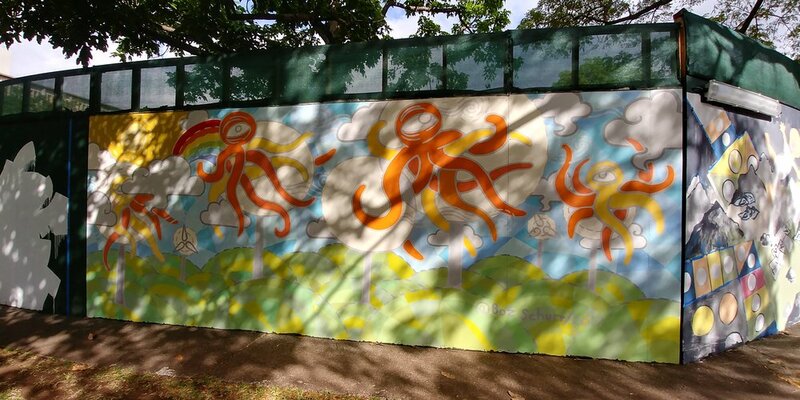 Interested in commissioning a mural for your office, school, home or other space? Visit the store or murals section of my website for more information or send me an email and let's chat about it online or over coffee!